The ban on fishing in the exclusive economic zone (EEZ) in the Bay of Bengal would continue till July 23, aiming to preserve and ensure smooth breeding of sea fish and crustacean, reports BSS. 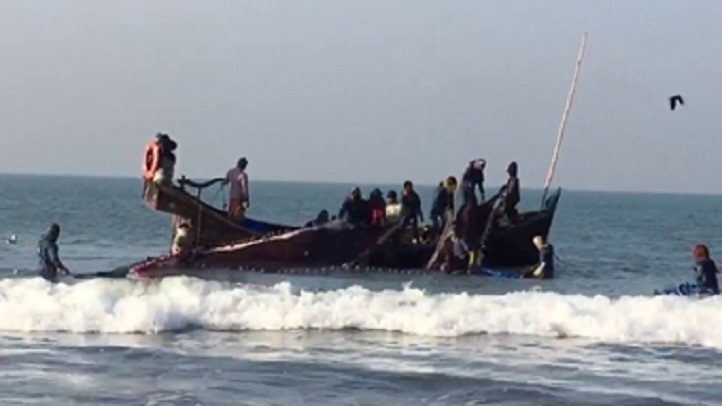 "Harvesting of all kinds of fishes and crustaceans including the lobsters, shrimp, crabs, wood lice, water fleas and barnacles through commercial trawlers will be prohibited in EEZ in the Bay of Bengal for 65 days staring from May 20," Director General of Department of Fisheries Dr M Goljar Hossain told BSS today. The restriction on catching fish imposed in the Bay of Bengal from May 20 considering the breeding of sea fishes and their conservation, he mentioned. He said fishing in all coastal countries across the world remain prohibited for two to three months during breeding season. After imposing such kinds of restriction on fishing for certain period every year since 2015, the fisheries DG said the fish production has marked an extensive rise at present. Intensified security measures, including coats guards and Bangladesh navy, remain vigil at the EEZ areas to ensure the ongoing drive to give a boost sea fish output.